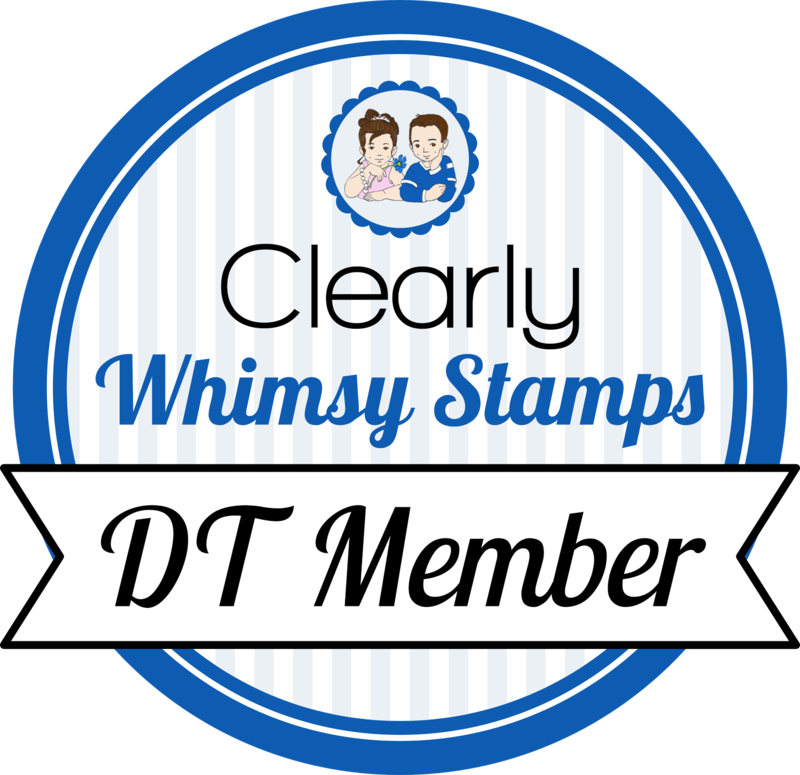 Welcome back to the last day of the April Whimsy release! All products are available for purchase now at the Whimsy Store. Today I am showing you Pretty Big Flowers stamp set. 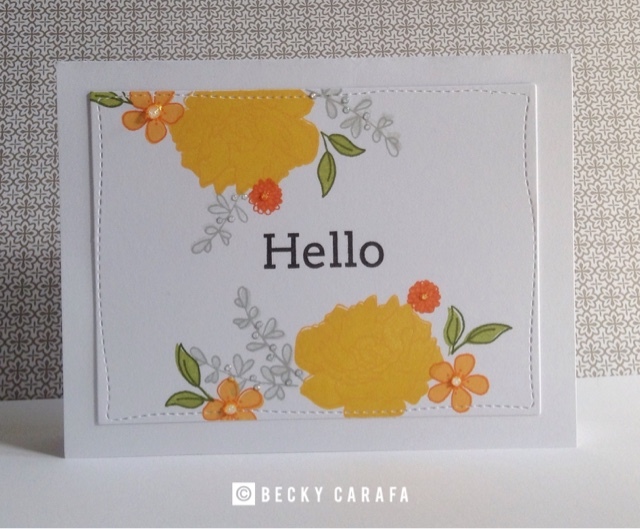 This set contains flower outlines and fillers, plus a few sentiments. My design was inspired by a card made by Dawn Woleslagle. I stamped the flowers and their outlines in coordinating inks and a Hand-Stitched Rectangle before adhering it to a white base. I added some diamond stickles to flower centers for some texture and sparkle. I hope you've enjoyed this release, head over to the Whimsy blog and Facebook group for more inspiration!